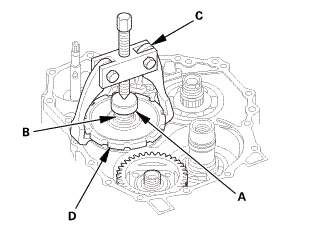 The bearing and the bearing outer race should be replaced as a set. 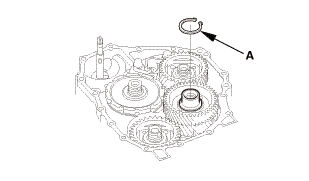 Inspect and adjust the carrier bearing preload whenever bearing is replaced. 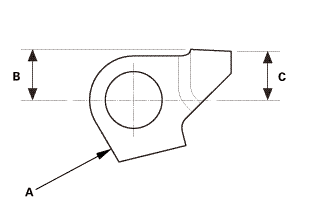 Check the bearing for wear and rough rotation. 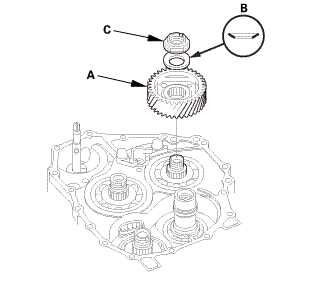 If the bearing is OK, removal is not necessary. 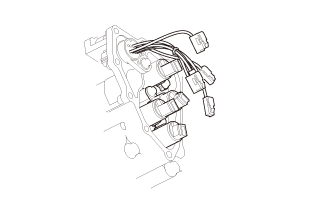 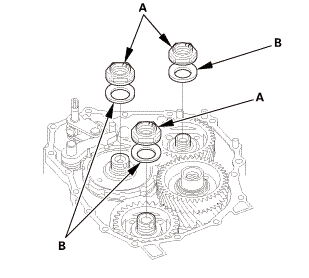 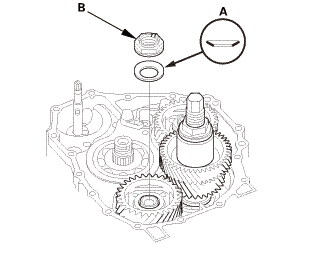 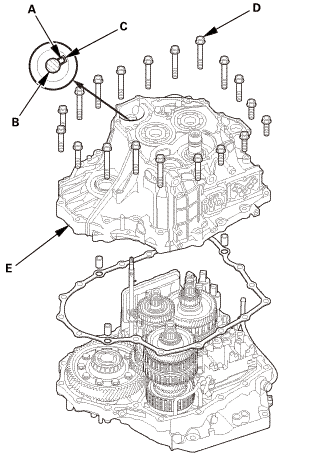 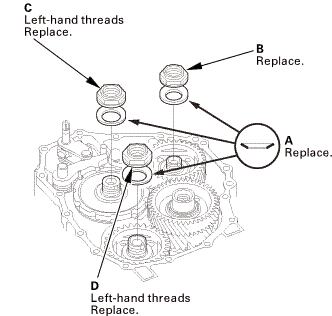 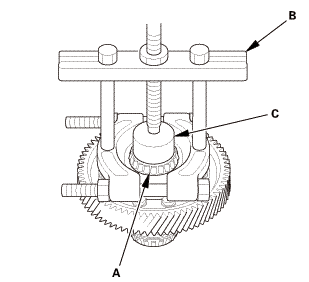 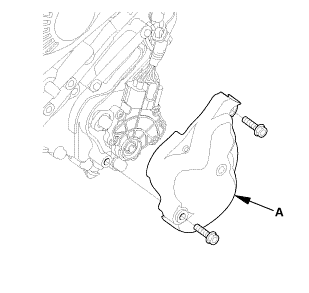 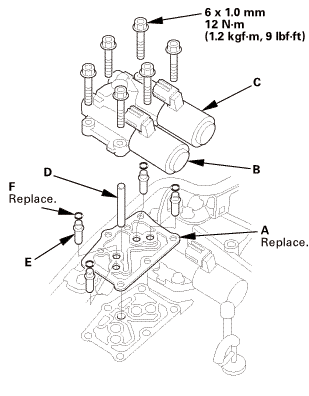 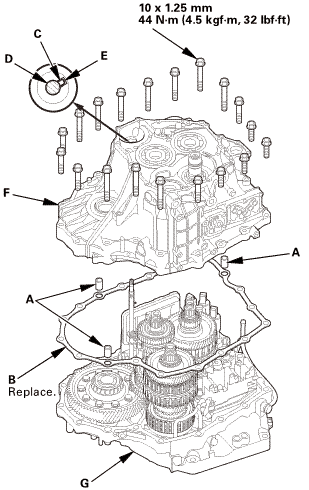 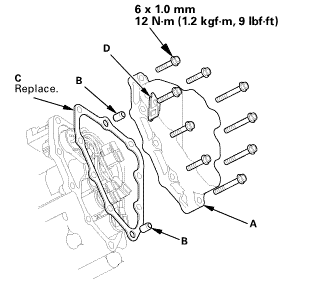 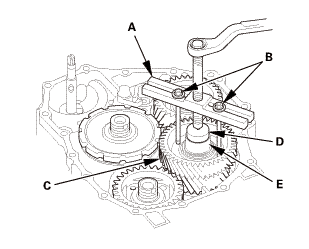 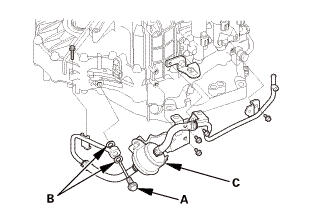 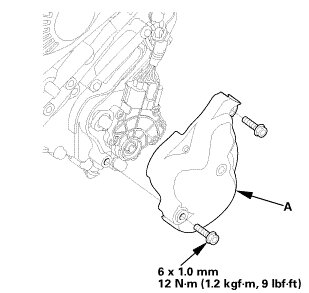 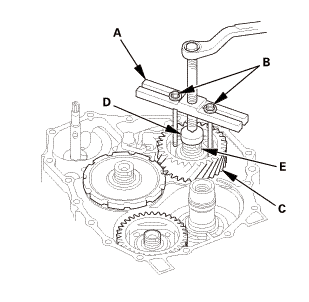 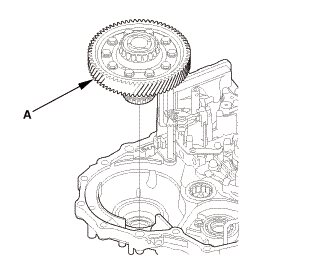 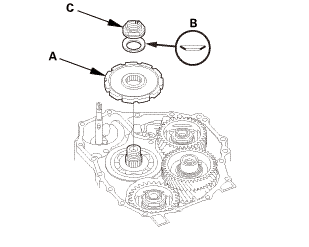 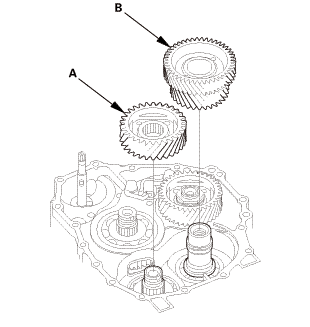 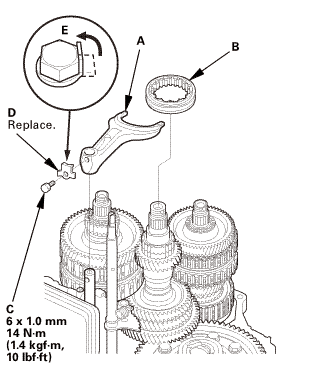 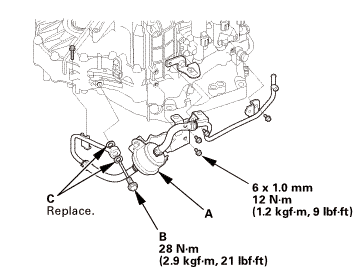 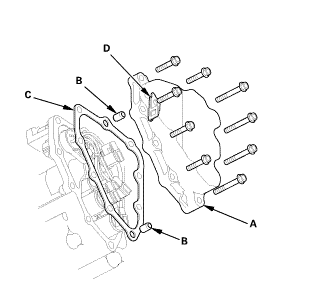 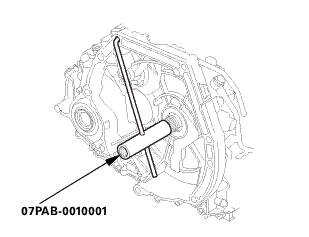 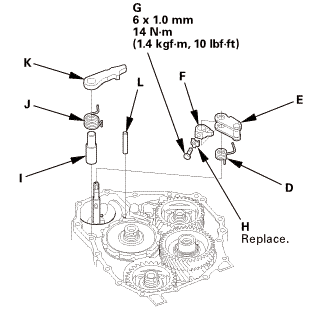 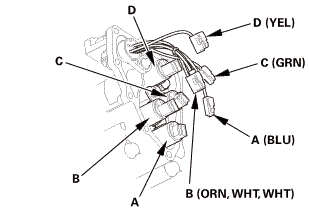 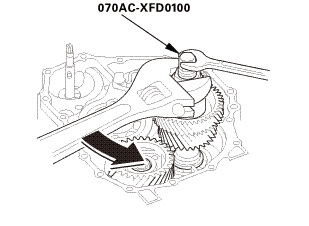 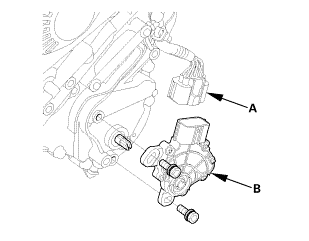 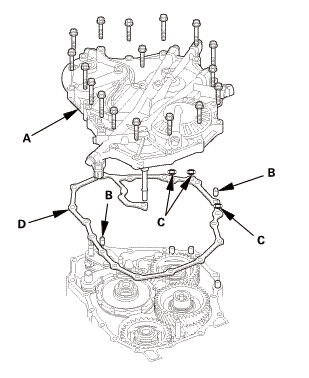 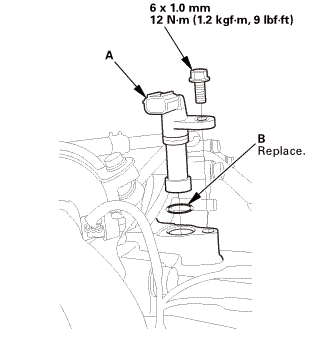 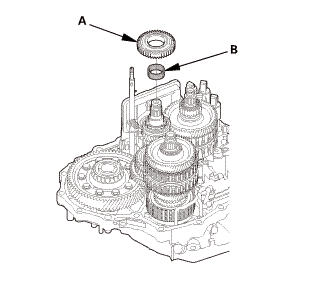 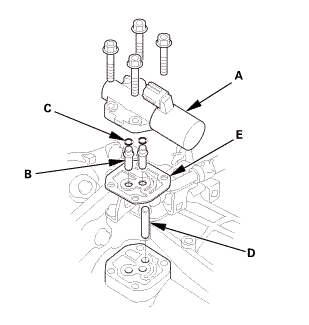 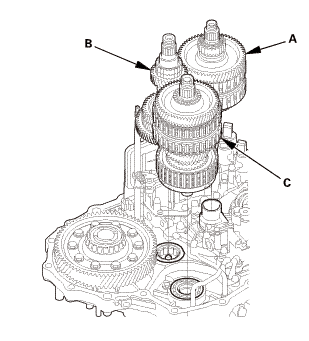 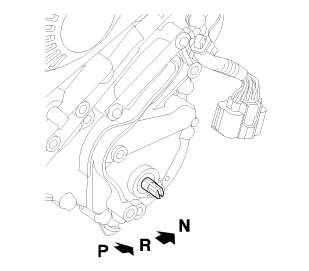 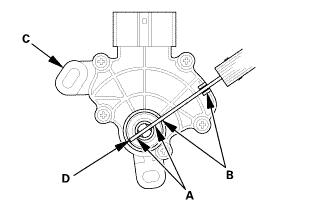 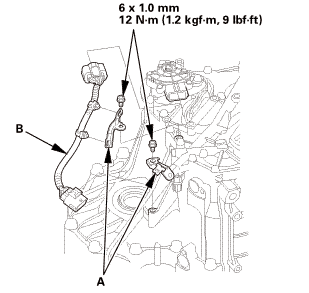 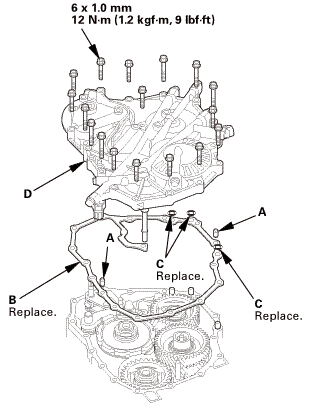 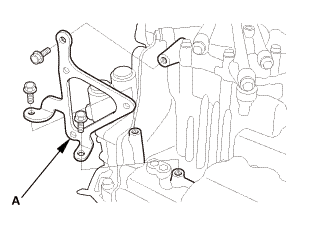 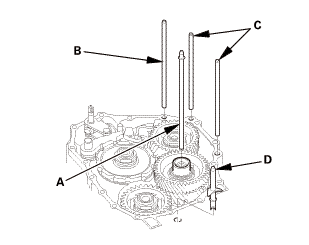 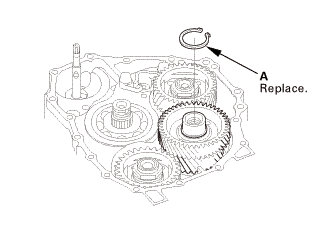 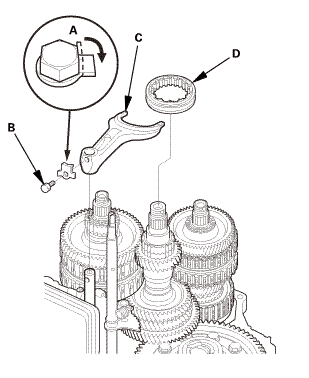 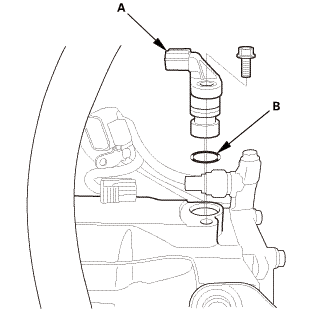 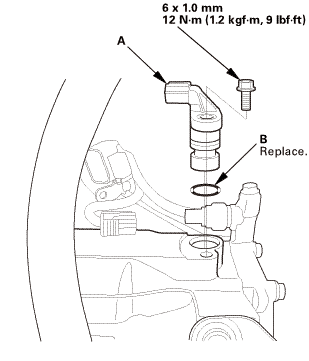 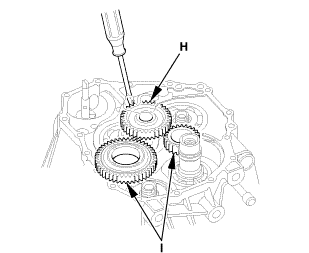 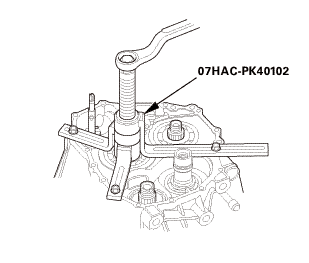 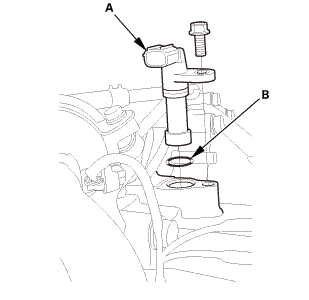 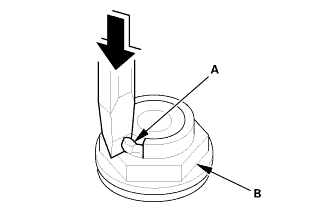 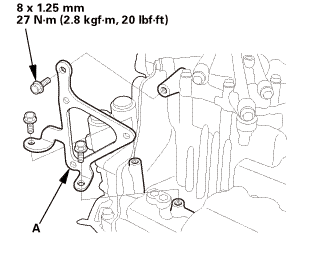 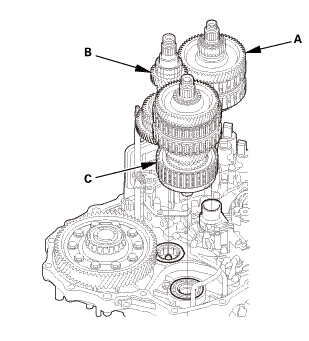 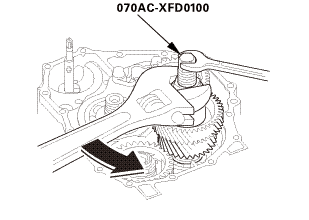 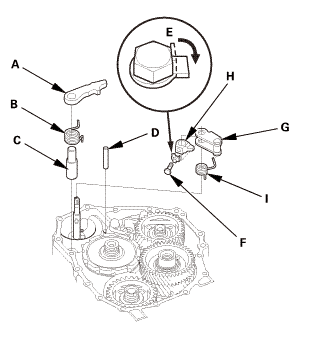 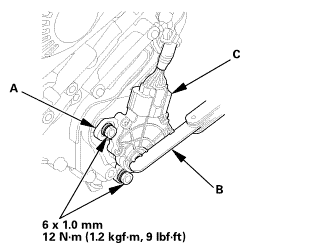 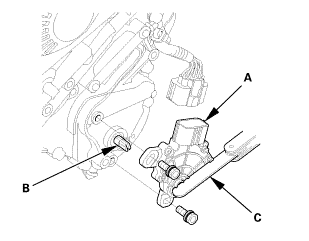 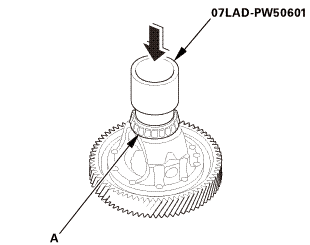 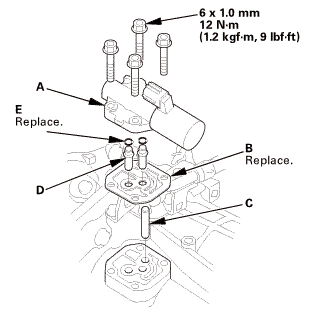 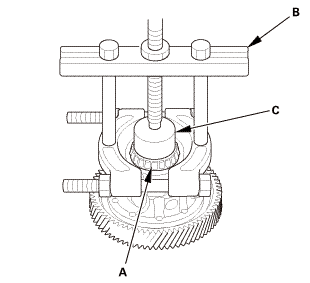 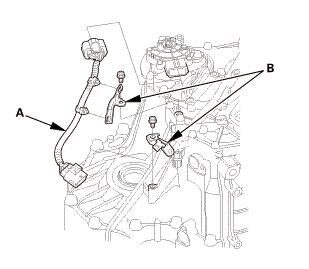 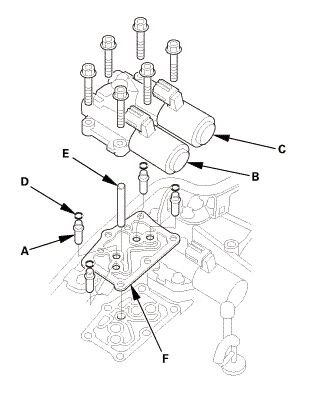 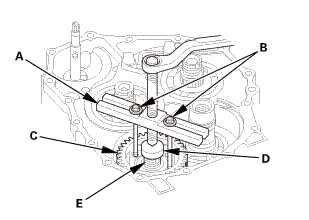 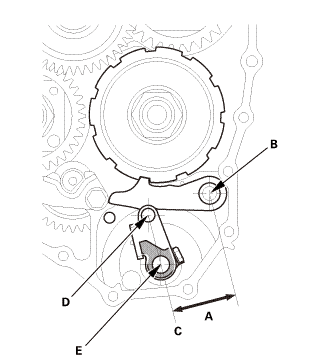 Remove the carrier bearing (A) using a commercially available puller (B) and a spacer (C). 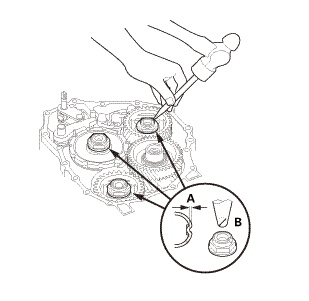 Apply a light coat of clean ATF on all moving parts before installation. 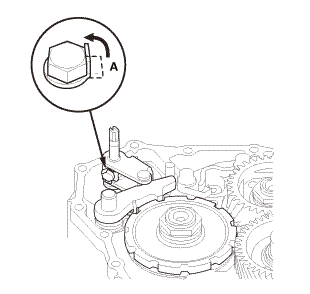 Install the carrier bearing (A) using the 40 mm installer attachment with the small end and a press. 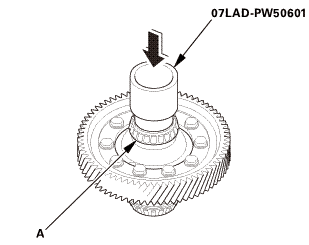 Press the carrier bearing on securely so there is no clearance between the carrier bearing and the differential carrier.